Much of the recent transfer talk pertaining to Manchester United has been about the insanely gifted Memphis Depay and The Daily Star reckons that the club are still confident of landing the player, despite interest from pretty much everywhere in Europe. United are prepared to hand the 21-year-old a four-year contract and quadruple his wages to £135,000-a-week. At 21 he has the world at his feet and, if he keeps developing at this rate we may be looking at a future world number one. Because the lad appears to have the lot – frightening pace, power real deftness of touch. Add a natural eye for goal – he has hit 20 just in the league this season as PSV have taken the title – and you have a very special young talent indeed. A game changer if you will. 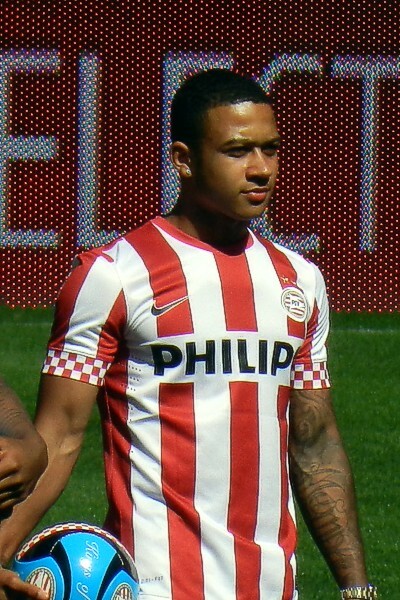 Manchester United may well have the upper hand with fellow countryman Louis van Gaal giving Depay his chance at international level when he was in charge of Holland. Then 20, Depay was thrown in at the deep end at The World Cup and even got on the score sheet. So they have a good relationship and this may play into Manchester United’s hands. The club has had to watch on as they have lost out over the last few years on the game changing talents of Lucas Moura and Eden Hazard. Perhaps this time they will get lucky.